A very, very brief introduction to myself as a player. The puppy is called Goedulf. 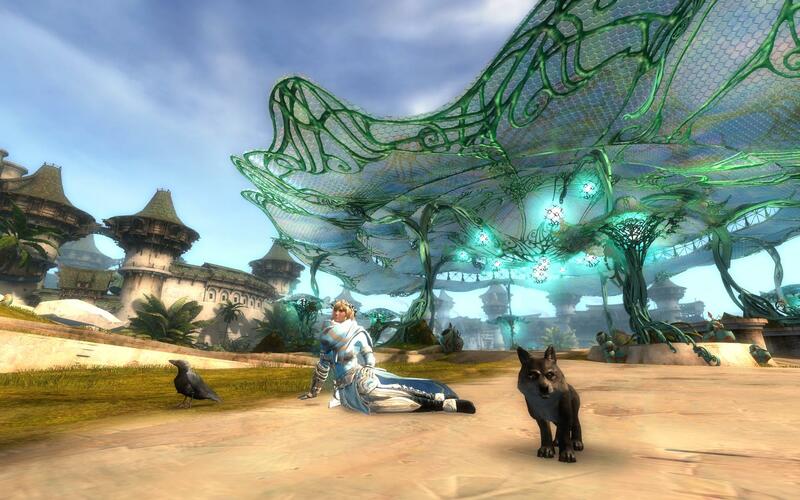 I played Guild Wars 1 from launch until the launch of Guild Wars 2, when I made the full-time transition. About a year into Guild Wars I joined The Amazon Basin guild, one of the longest running Guild Wars guilds that has its roots in Diablo II. Actually this is where I heard of the guild because I was also a Diablo II player way back when. They had a good reputation as a friendly community, so I signed up. ~9 years later I’m still a part of that guild and I even joined the Path of Exile chapter just recently. 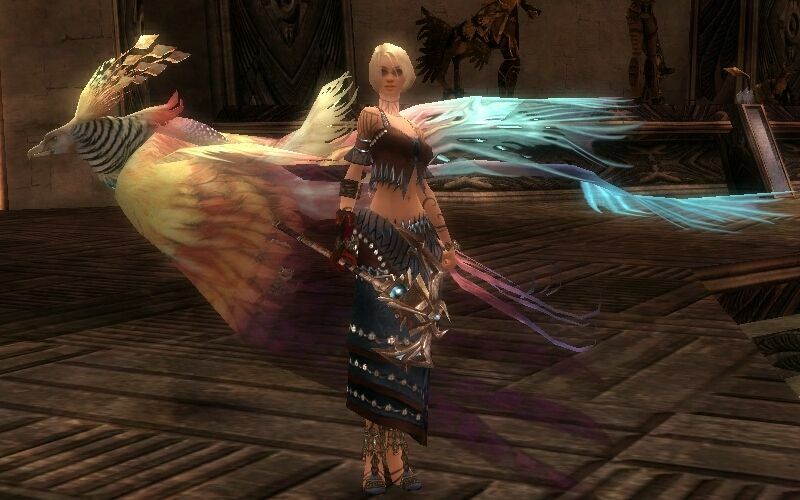 My ritualist and her rainbow phoenix in the Eye of the North. My favourite classes in the original Guild Wars were what I laughingly referred to as the “unholy trinity” of ranger, necromancer and mesmer. People used to call the warrior, monk and elementalist the “holy trinity”, and I just gravitated to the outcasts. With the release of Guild Wars: Factions I found a new favourite class that would last me until the very end: the ritualist. It was a healer character that wasn’t a monk and that I liked the look of. I was sold. In the very beginning it wasn’t a very good healer, and I remember meeting Colin Johanson at a PAX afterparty and he asked me about my favourite class. When I said it was the ritualist, a class in not a particularly great state at the time, his expression was priceless! What I loved more than anything was the look and the theme, and I’m a good enough player to make a bad class work well. In time the ritualist blossomed into a meta character with notorious skills such as Destructive was Glaive and a solid spot in Guild vs Guild games as a flag runner. Still my favourite Guild Wars class. My victory over the elder dragon, Zhaitan. 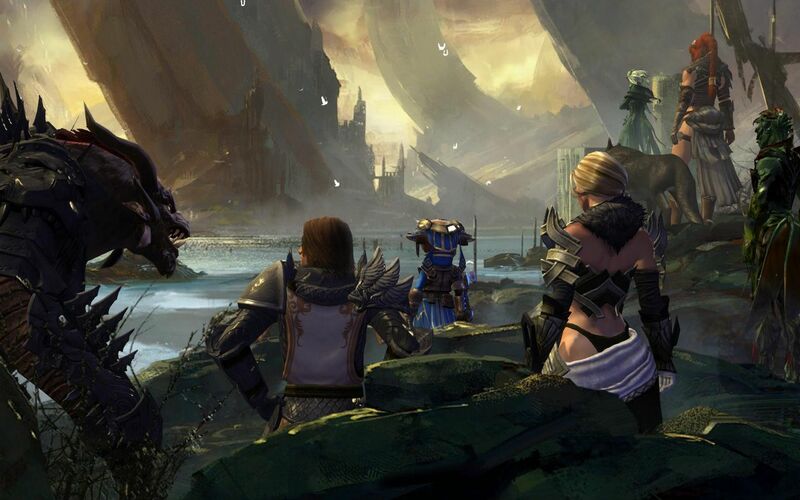 Norn are the centre of my universe in Guild Wars 2. I play every class and I tried hard not to settle on a main, though I suppose I have some core favourites. Looking forward to Guild Wars 2: Heart of Thorns my intent is to be playing my ranger as a druid, guardian in vanilla form, necromancer as a reaper and my mesmer either as a chronomancer or in vanilla form. Oh, and a herald. That should keep me plenty busy.